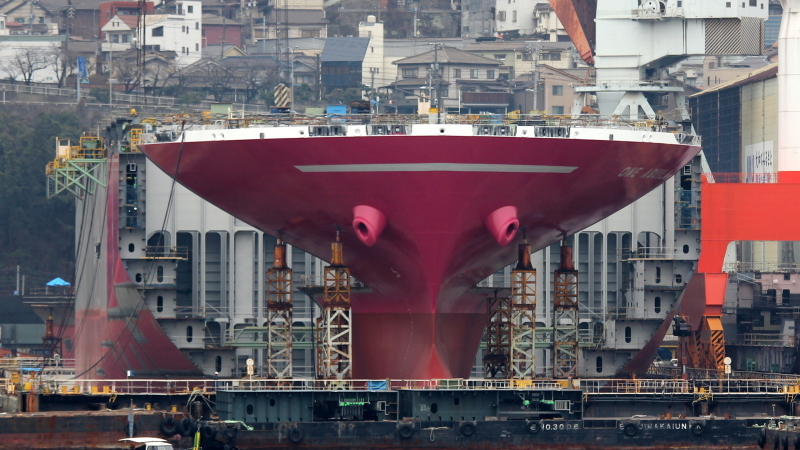 Another magenta ship under construction at JMU Kure shipyard. There's the name, but I've got no other info. Thanks Vlad for the first name of the second batch. This photo has been shown 2,713 times since it was added to the site.